Health and fitness has been a huge passion of mine since I was a child. When I came home from college and started my career in the Health and Fitness industry, I needed a new hobby to keep me motivated so I turned to running toward the end of 2013. I became serious in 2014 and began a 742-day run streak. Shortly after reaching the second year, and three months after running my first marathon, God had other plans for me. For the next several months, my body was rebelling against me and no one could figure out what was wrong. By now, it was 2016 and I was told there was a good chance I would not run again. That crushed me! I felt like I had lost a huge part of my life and I honestly felt trapped inside my own body. Day after day of excruciating pain, worry, and the unknown took a great toll on me. For 10 months, I went day to day not knowing what my future would look like. It was hard because many people did not understand it. Fortunately, I had and still have to this day, an incredible support system that never left my side and my strong faith got me through. Without God, I would not have had the strength to endure the journey. In March 2017, I finally saw a doctor who figured it all out and took the time to listen to me. I ended up having my gallbladder removed at the end of that month. I felt instant relief of pain after my surgery and can’t thank my surgeon enough. My health is so much better, and I give all the glory to God. Having no more excruciating pain is a wonderful feeling. A couple months ago, God put it on my heart that I was ready to train again. This is an opportunity I thought I would never be able to dream about doing again, so I knew I had to make this more than just about myself. The struggles I face today are minor compared to the struggles and challenges faced by the women and children we help rescue and save from modern-day slavery. When God speaks, you listen to him. He has provided me with so much insight and has taught me many lessons I probably wouldn’t know if I didn’t endure what I did. Challenges are all around us. They come in all sizes and in many different forms. You do not need to travel very far to find one. 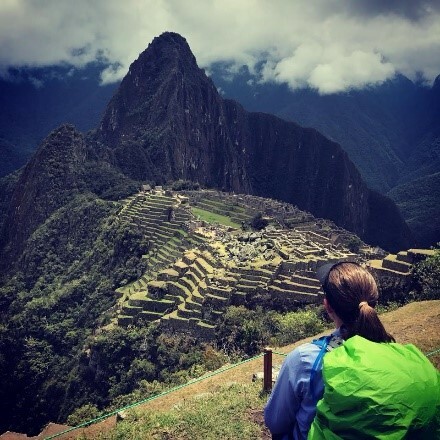 I have been blessed to journey on three climbs with the Freedom Challenge: Jackson Hole, WY in 2016, Estes Park, CO in 2017, and Machu Picchu, Peru in 2017. I will be back in 2019 to climb mountains, however, this year, I was presented with a special opportunity I could not pass up. Running has been a passion of mine for quite some time and before I got sick, it came easily to me. With this second chance at running, it is far from easy these days, but it still brings me the same joy. I am also running for God and not myself which makes all the difference. Although this half marathon training is a big challenge, I wouldn’t want it any other way. Challenges make us stronger and show us that our weaknesses end up being our greatest blessings. My eyes have also been opened to a much bigger and more important picture: Running does not define me. It doesn’t matter how fast or far I go or how many miles I accumulate in a month. What matters is the fact that every time I take one step, I appreciate the freedom knowing I am no longer trapped inside, and I have full control of what’s going on with my body. And that is a huge burden lifted off my shoulders. It is my hope that through my running journey, it will inspire and encourage others to take the individualized fundraising approach to do what they love and help bring awareness and financial support to all the women and children around the world who are oppressed and enslaved. God has taught me so much through the valleys and on the mountaintops both figuratively and literally and He has shown me to never stop trusting Him. He makes things happen in our lives to slow us down and really appreciate and value what’s in front of us. Let God be your focus! In December, I will be running the Palm Beaches half marathon in aid of Freedom Challenge. You can help make a difference and be a blessing to these incredible women and children who have been through far worse than I can ever image. $150 saves a life! Deena Nunes lives in South Florida. She is the proud Auntie to her adorable niece, Melina. She works as Director of Training for a Health and Fitness company. Deena worships at Advent Lutheran Church in Boca Raton and is also very involved with Gold Coast Via de Cristo. 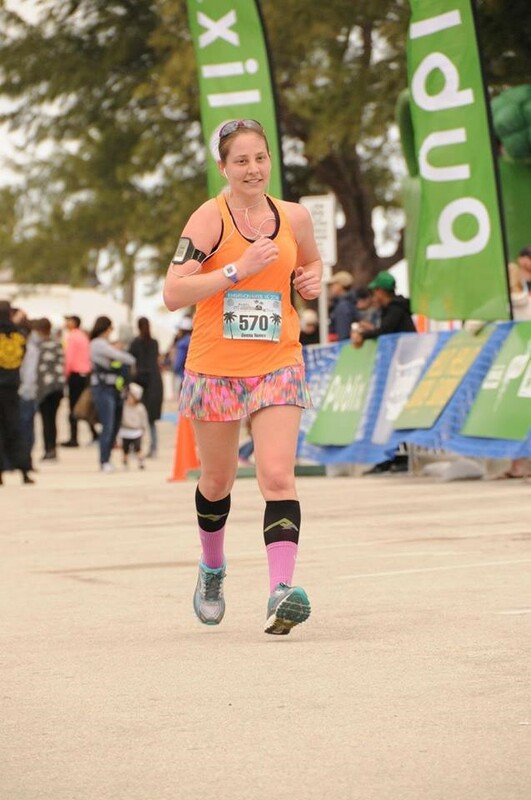 Three of her biggest passions include: running, writing, and supporting the Freedom Challenge. She spreads positivity and smiles wherever she goes, and she loves Jesus.